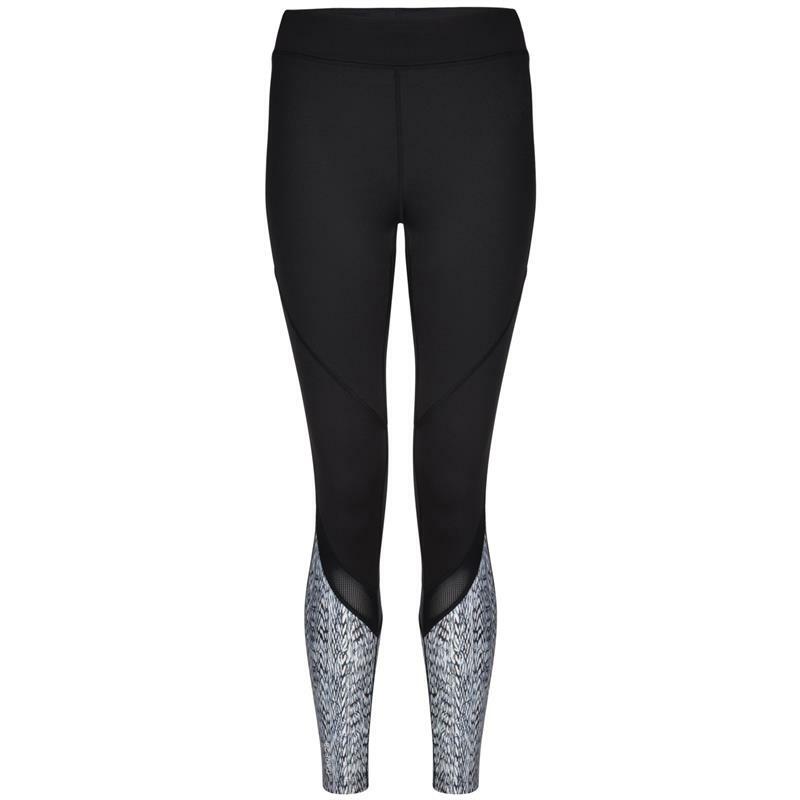 Dare2b Ladies Regenerate Leggings - Black/White. The Regenerate tights from Dare2b has a lightweight Q-Wic fabric that helps to move sweat away from your skin. Internal elasticated waistband for comfort. Self fabric open pocket at inner waistband.